Dentons has been providing local information and business listings since 1967. Below is a list of useful contact details for a range of services in Weston-super-Mare and the surrounding areas. This includes information on council services, education, recycling, transport, health & emergency services. North Somerset Council provides a range of services for the residents of Weston-super-Mare and the surrounding area including education and social care. Schooling can be a difficult time for parents and pupils. Below are some useful numbers to help combat potential issues that may arise for both pupils and parents during a child’s time at school. Weston-super-Mare has a conveniently situated register office for registering births and deaths. It is the contact point for arranging you marriage or civil partnership in the locality, there are several locations to chose from. Weston-super-Mare’s main hospital provides most of the acute care needed by our community, including intensive care, cancer care and coronary (heart) services. It also offers a full 24-hour Urgent Care Centre service. There are a fantastic range of NHS services available to residents of Weston-super-Mare and the surrounding area. Whatever the problem, be it a broken tooth or a broken leg, specialists are on hand. Weston-super-Mare’s social services are based in a variety of locations across the district with a public facing reception at the Town Hall in Weston-super-Mare. The popularity of sending a letter may be decreasing but in and around West0n-super-Mare, there are many post offices to buy a stamp, send a letter, purchase a rod fishing license or exchange money for a trip abroad. Weston-super-Mare has a variety of leisure and sports facilities and all open to the public so if you fancy a workout or taking up a new sport, pop over any of the sports centres located around the town. Weston-super-Mare is served by a railway station situated on a loop off the main Bristol to Taunton line and from the town’s bus station, you can now travel as far as Brean, Burnham-on-Sea, Cheddar, Wells and Glastonbury by bus. Weston-super-Mare provides good housing and support services for the homeless. For anyone facing money, legal, housing or benefit issues the Citizens Advice Bureau offers free, confidential and impartial advice. The chamber of commerce network can support your business throughout its lifecycle from start-up, development, growth and beyond. No matter what type of business you are, or whether your objectives are on a local, national or international scale, your local chamber can help you meet your goals. A coroner’s role is to establish, normally by post-mortem, whether a death is natural or unnatural in the eyes of the law. If the death is unnatural, further investigations might be undertaken with a view to presenting a case to be heard before a coroner at an inquest. Our Weston-super-Mare dentons directory (7th edition) is currently distributed to over 50,000 business and residential addresses in the Weston-super-Mare. For more information on our directories, please click here. Weston-super-Mare (also referred to as Weston locally) is a popular seaside destination located on the Bristol Channel coast, 18 miles south west of Bristol, between Worlebury Hill and Bleadon Hill. The town’s attractions include the long and wide sandy beach created through the tidal range of the Bristol Channel, the newly opened Wheel of Weston and the town’s most famous landmark, the Grand Pier. The pavilion at the end of the Grand Pier was completely destroyed by a fire in 2008 but work to rebuild the pavilion began in 2009 and the pier is has now re-opened. 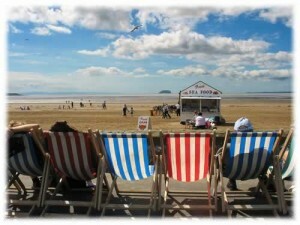 The “T4 OnThe Beach” concert, hosted annually by Channel 4’s youth programme T4, is a recent addition to the town’s calendar of events and Weston-super-Mare is twinned with the town of Hildesheim in Germany. Weston-super-Mare can be dated back to the Iron Ages as a camp and fort have been uncovered. Early in the 19th century, Weston-super-Mare was a small windswept village of about 30 houses created as a sea wall to the Bristol Channel after flooding in 1607. The opening of the railway in 1841 brought thousands of visitors to the town to enjoy the seaside from Bristol, the Midlands and further afield. The town’s properity is from the seaside holiday boom of Victorian times. Weston-super-Mare built two piers the Birnbeck Pier and the Grand Pier to accommodate the number of visitors coming via the water and the railways. The Birnbeck Pier closed in the 1990s due to storm damage. 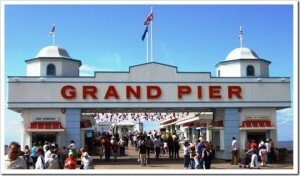 The Grand Pier suffered badly in the fire of 2008 and has been redesigned to incorpoate a modern amusement arcade. 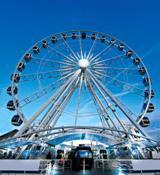 It has been voted in the top 10 of the Visit England Top Ten Free Attractions of 2009.